Baghdad (AFP) - Islamic State fighters retreated from several western Iraqi towns and towards the Syrian border on Sunday as security forces worked their way up the Euphrates Valley, officers said. The jihadist organisation's leadership ordered its fighters out of Hit, Kubaysa and Rutba, prompting thousands of civilians to take to the road to meet advancing federal forces while others enjoyed their first hours of freedom in months. 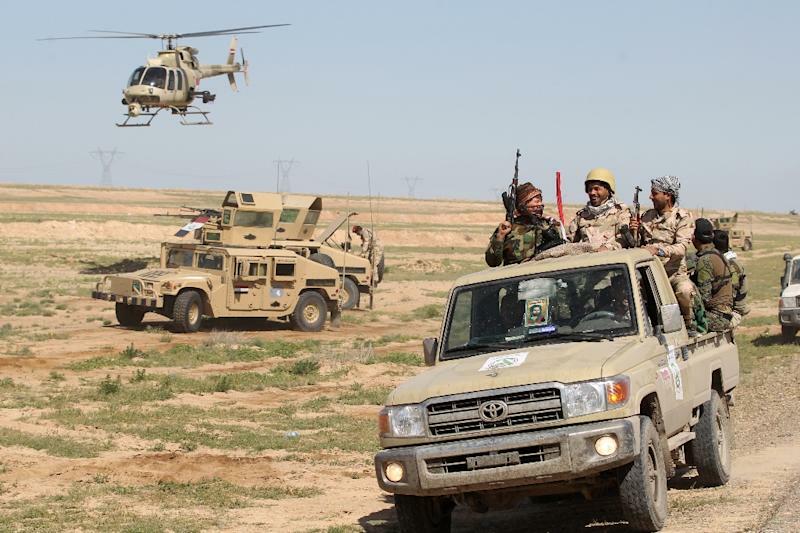 "There is an operation to hunt them down with Iraqi aircraft," said Rasool, spokesman for the Joint Operations Command coordinating the fight against IS in Iraq. 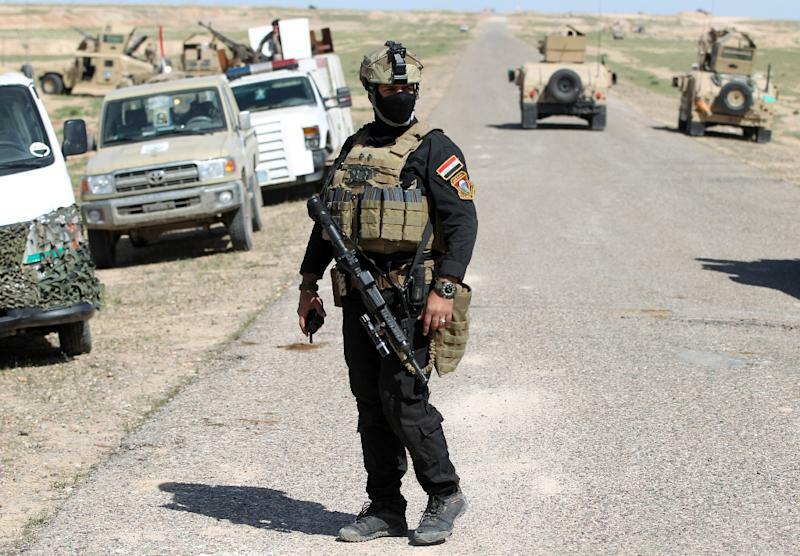 "Hit is surrounded by Iraqi forces from the south and north," he said. "Thousands of families have fled the area to meet our forces." One resident said IS's local military leader was killed in an air strike as he tried to escape on Saturday. "Ahmed Mashaan Abdelwahed al-Batran was killed when an air raid destroyed his boat -- he was trying to cross the river with his family," he said. "The young people in Hit are smoking on the street and they also changed back into their normal clothes," he said, also speaking on condition of anonymity. "There are women in the street without the niqab (full veil) for the first time" since the town fell to IS in October 2014, he said. Witnesses and officials said IS leaders -- many of them from the city of Mosul or foreigners -- tried to slip out of Hit by blending in with fleeing families after shaving their beards. In Rutba, "Daesh's armed men started pulling out last night and completed their withdrawal this morning," a major general told AFP on Sunday. 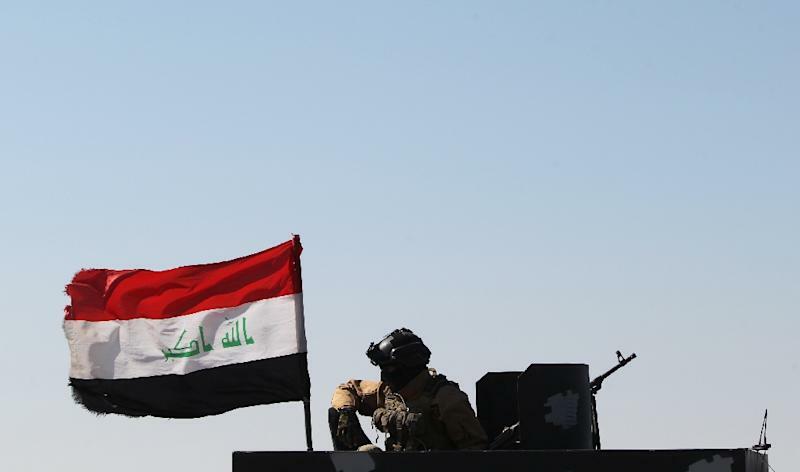 They have since been securing areas east of Ramadi, further isolating the jihadist stronghold of Fallujah, which is only 50 kilometres (30 miles) west of Baghdad.